Another new BIG PAIR PODCAST reaches your ears, and as promised, this ep features a chat with Arthur Darvill, who can currently be seen playing Rory, Amy pond’s boyfriend/fiance in Doctor Who. Arthur & Neil chat about Dr Who audiobooks, what he thinks of Rory and the now infamous pony tail, working in the theatre with Matt Smith & Christian Slater, music and composing, and all manner of stuff from Arthur’s life. The BIG PAIR Podcast – Ep 6 – Debbie Does Audio! 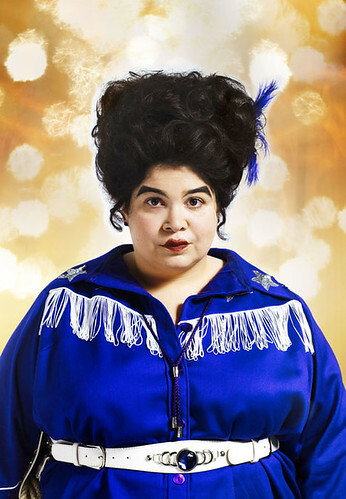 Another in our occassional series of specials…this episode, Neil Gardner chats one-on-one with actress, comedienne and star of “Voyage of the Damned”, Debbie Chazen, about audiobooks, We Are Klang, Calendar Girls, Dr Who and fighting breast cancer. PLUS…some sneak audio peaks at some of the summer releases from Spokenworld Audio, the new name in audiobooks and audio productions online. Well, hullo there! I’ve been lax in my recent postings. Why? I’ve been up to my neck in radio programme making and Dr Who audio adventure editing! My company, Ladbroke Productions, has had a busy month, with our ground-breaking investigative series “Inside The Bermuda Triangle” airing in mid-Sept, our archive hour prog about Peter Scott “Scott of Slimbridge” airing in late Sept and World Service repeating our religious doc “Twin Sisters, Two Faiths” a week ago. While all that was happening we made a medical doc (no pun intended!) with Dr Phil Hammond called “Metaphor For Healing” which airs on Radio 4 on 27th Oct; a classical music history programme called “Hidden Composers” which airs on BBC Radio 3 on 31st Oct; and I’ve produced a doc about British Asian marriage problems called “Home Grown” which airs on BBC Radio 4 this Wednesday 14th Oct at 11am. Alongside all that good stuff, I’ve been continuing to edit together the final 2 episodes of the brand new Tom Baker Doctor Who audio Adventure “Hornets’ Nest”. We finish the final editing this week, and then they head off for duplicating and shipping. You can get hold of ep 3 “The Circus of Doom” on Nov 5th, and eps 4 & 5 “A Sting In The Tale” & “Hive of Horror” on Dec 5th. It’s been great fun these past 6 months bringing Tom back as the Doctor. So what next? I am producing a new religious doc called “Protected By Faith” presented by John Waite and airing on Radio 4 in mid-Dec. It is about the Vatican art conservationists. My colleague Neil Rosser is making a Radio 2 doc called “Development Hell” with Adam & Joe all about films that never got made, as well as a 6 part series about Elvis also for Radio 2. We are also pitching for BBC radio 2, 4, 7 and World Service work for next year, so it’s brains in gear and lots and lots of raw proposals. So busy busy. But I’ll be back soon with more from the KINGDOM OF SNURF, more Doctor Who shenanigans, more FICTS, more toot talking and more THE BIG PAIR PODCAST. the BIG PAIR podcast returns for another teaser episode before launching in to the full on fortnightly splendour to come. Do let us know what you think and send us some audio for the next ep.